Where There’s a Will, There’s a Way to Combat Blackberries! 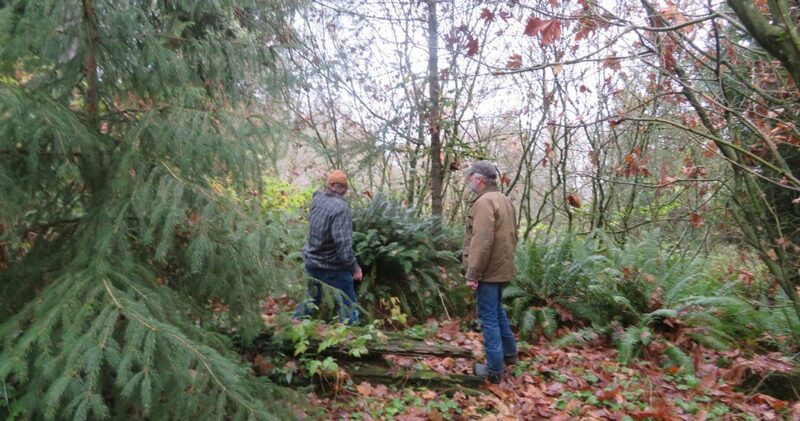 Wayne Pair and his family have transformed their forest from a blackberry thicket into a rewilding woodland with the full complement of native Northwest trees and understory species. 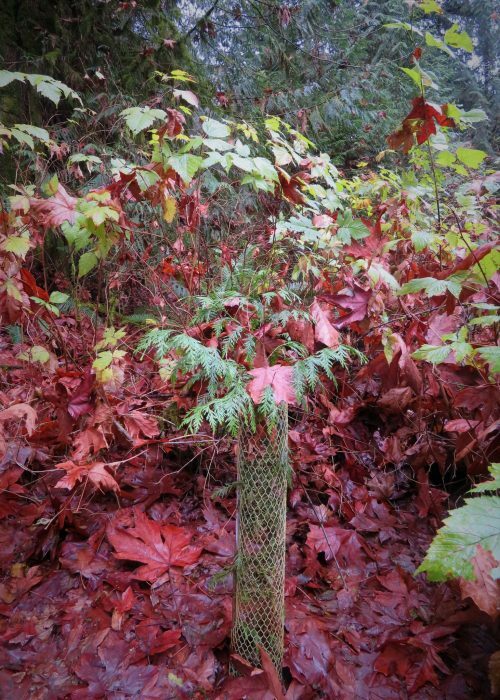 Pair Family Forest, situated in the Snoqualmie Valley just west of Duvall, had a serious invasives problem when the family purchased the land in 2005. About a third of the property was choked with tangled pockets of Himalayan blackberry thicket. The brambles had muscled out the native shrubs and posed a serious problem for Wayne, who had visions of transforming his forest into a mixed-age, biologically-rich ecosystem. Invasives have stymied many a forest owner. Himalayan blackberry, English Ivy, Japanese knotweed – some of the Northwest’s most pernicious invasives – are almost medically proven to invoke a sense of despair (certainly so for those like Aldo Leopold with an ecological education). But Wayne is here to remind us that the invasives story doesn’t always have to end the same way. 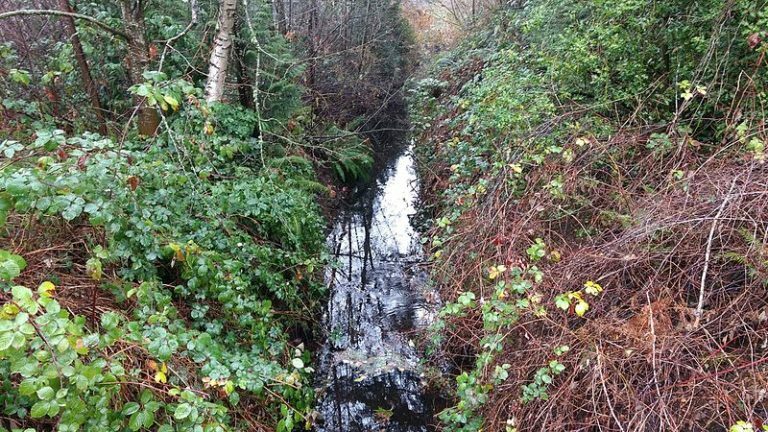 In 2011 Wayne partnered with King Conservation District (KCD) to create a restoration plan for his forest to tackle the blackberries and improve shading along a stream. He then applied for and received a forest health management grant from KCD that allowed him to ‘call for backup’: forestry contractors with the right tools to mow down massive amounts of overgrown blackberry all at once while avoiding native shrubbery as much as possible. It was no walk in the park – Wayne put in several hours of manual labor every day for about four months. In the spaces the tractors had cleared he manually grubbed out remaining blackberry rootwads and stray weeds. 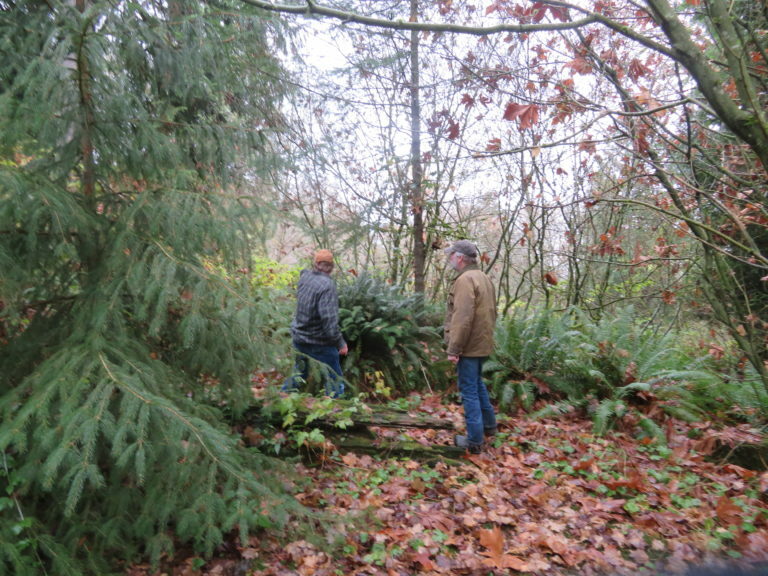 But soon there was enough space to plant a mix of western red cedar and other conifers including grand fir, Douglas-fir, and Sitka spruce. For 4-5 years as the seedlings grew, Wayne vigilantly combed the forest floor for signs of invasives – and began noticing the classic marks of a rewilding wood. Without the briary bramble it became easier to explore the woods and notice snags with woodpecker sign, red huckleberries growing atop old snags with springboard notches. Native understory plants popped up where before blackberry had dominated. 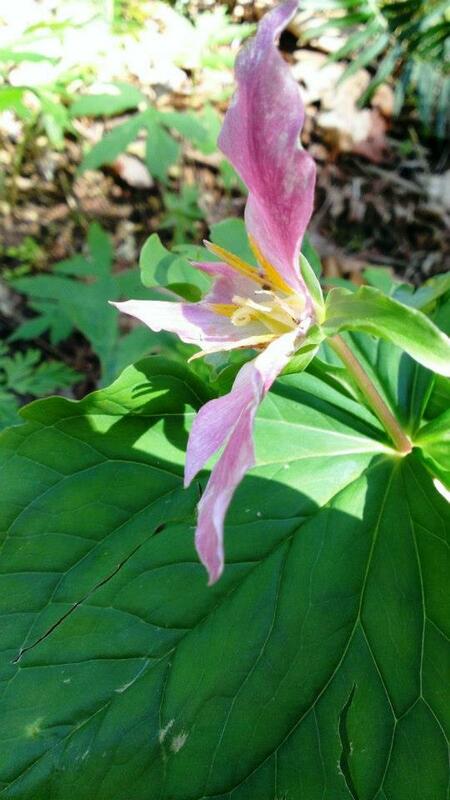 Beautiful trillium and Pacific bleeding hearts emerged in the spring. 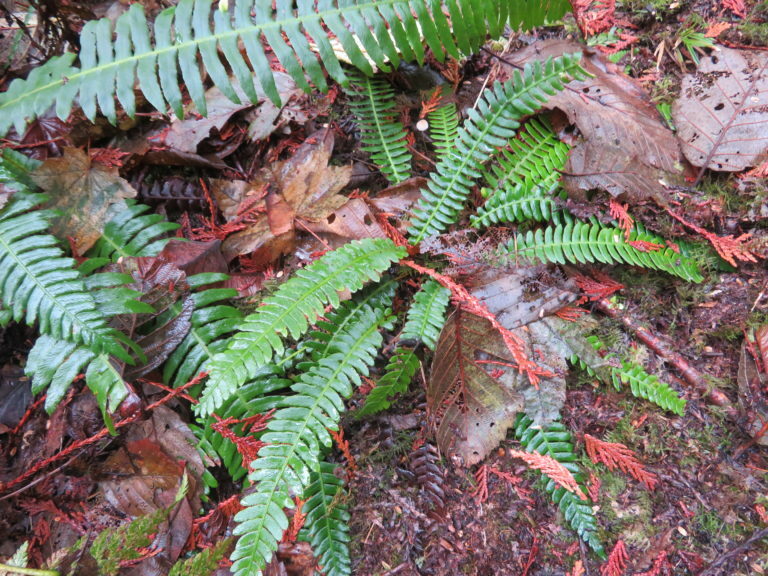 Pockets of deer fern and vine maple reclaimed corners of the forest. Now, Pair Family Forest has a full complement of mixed-age native trees, a healthy, diverse understory, and virtually no Himalayan blackberry in sight. A biologically-rich forest with no sign of blackberry. Pair Family Forest is a Forest Stewardship Council®-certified through NNRG’s FSC® group certificate. Wayne points out an area that was once all blackberry on a recent FSC audit visit. 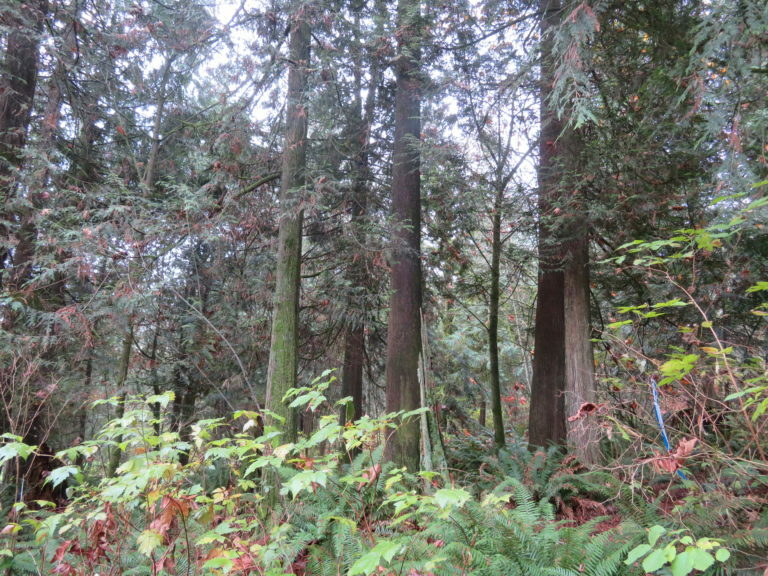 More information on cost-share funding opportunities for forest stewardship is available here. Resources on invasive species can be found here.